Stores like Sephora are packed with rows and rows of expensive creams with bold promises about anti-aging properties and dermatological science. Don't bet the farm on a single one of them. 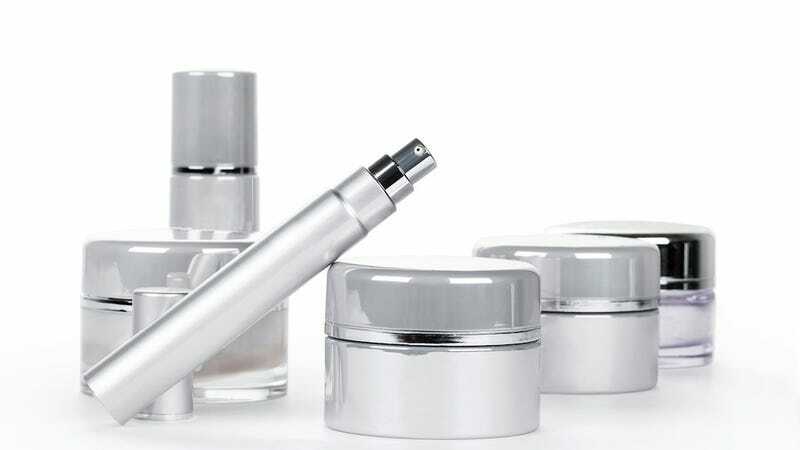 In the absence of meaningful regulation, anti-aging skincare products are now overrun with unproven or controversial "active" ingredients, at times even eschewing the FDA's language restrictions with impunity. Most major manufacturers are careful to use tempered phrasing when advertising their products, guaranteeing only to "reduce the appearance" of wrinkles and sun damage, or, vaguely, to "promote" and "boost" the production of skin-firming collagen. In a letter entitled "Are We Consultants or Peddlers?" published in the Journal of the American Medical Association Dermatology, dermatologist Ernst Epstein makes his opinions clear: "There is a price paid by the dermatologist who sell cosmetics…. It is our integrity. … Our patients are deluged with ads proclaiming the special qualities of moisturizers, night creams, eyelid renewers, and other magic rejuvenators of aging skin. Scientifically, this is all nonsense; we know that while some of the 'cosmeceuticals' may temporarily plump up the skin a bit more than others, the differences are trivial and temporary."